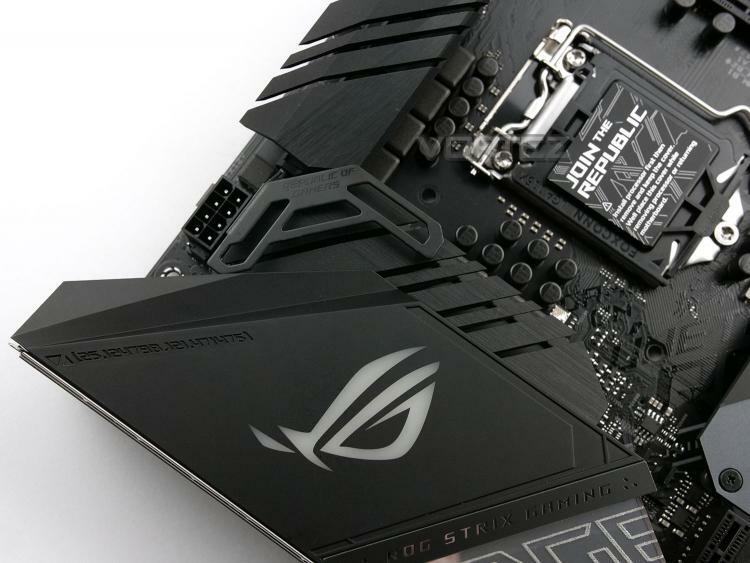 ASUS ROG Strix motherboards have become increasingly popular amongst the enthusiast and gamers markets, mainly for their unique styling and dedication to the RGB scene. This time around, with the Z390-E Gaming, we get an even darker guise, shedding most of its flashier components. Under the hood, the Z390 chipset offers support for the next-gen Intel CPUs as well as the current 8th Generation Core CPUs. We also get mutli-GPU compatibility with NVIDIA SLI and AMD CrossfireX, a pair of NVMe M.2 slots, with heatsinks, and SupremeFX audio. The ASUS ROG Strix Z390-E Gaming conforms to the ATX form factor and appears to offer everything a budding enthusiast would require, which includes support for the 8th Gen Intel Core CPUs and the next-gen Intel CPUs. show. A pre-mounted rear I/O cover is now standard, making for a better fit than the finger slicers shipped with most motherboards. Both M.2 slots feature heatsinks ready to tame the latest high-performance SSDs, and untethered network connections get an upgrade to Intel’s 2X2 802.11AC Wireless-AC 9560 controller, which is capable of transfer rates up to 1.73Gbps.